Ben and Marj Bauman of Holton will celebrate their 40th wedding anniversary on Nov. 29. 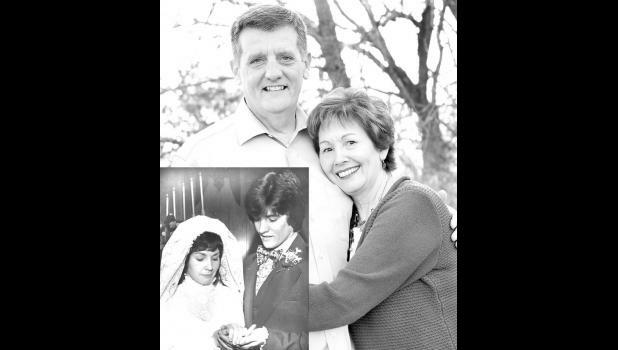 The couple was married on Nov. 29, 1975, at the Reformed Presbyterian Church in Denison. They will celebrate with their children and grandchildren: Nathan and his wife, Becky, and children, Taylor (and his fiancée, Laeny), Brooklyn and Marcus, of Sabetha; Scott and his wife, Aubrey, and son, Noah, of Dublin, Ohio; and Alison Anderson and her husband, Ian, and children, Porter, Meyer and Ransom, of Sterling.